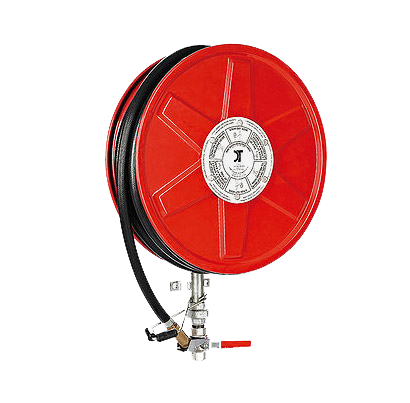 Hose Reels are arguably the most common item of fire protection equipment installed throughout the commercial industry. Not withstanding this, they are the least understood and most abused item of the fire fighting equipment. 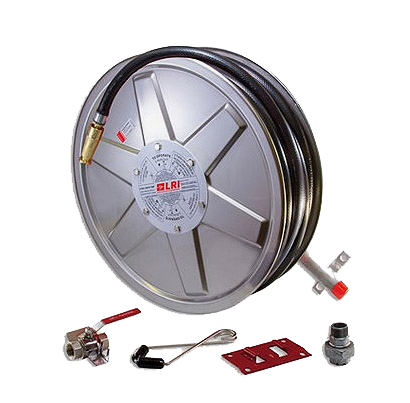 Is easily installed to any wall, however will require fitting to a water pipe. Is supplied with a steel wall bracket, hose guide, and ‘on/ off’ tap and pipe...ready for connection to the water pipe. Hose reels should be maintained in accordance with AS1851 and serviced every six months. Manufactured to AS/NZS 1221 standards.